*Local channels require an AirTV Player, an AirTV Adapter and an Antenna (sold separately). **Local channels DVR requires an AirTV Player, an AirTV Adapter, an Antenna (sold separately) and an external hard drive (sold separately). 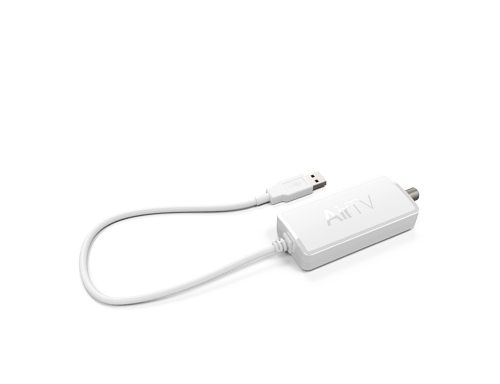 Bundle up and save—unlock the full value of your AirTV experience with both the AirTV Player and AirTV Adapter. 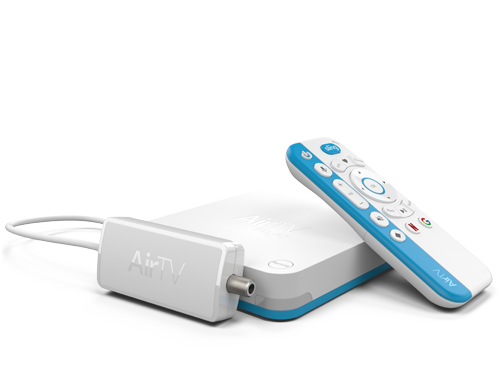 Watch local channels in HD with the AirTV Adapter Watch on one platform with one remote. 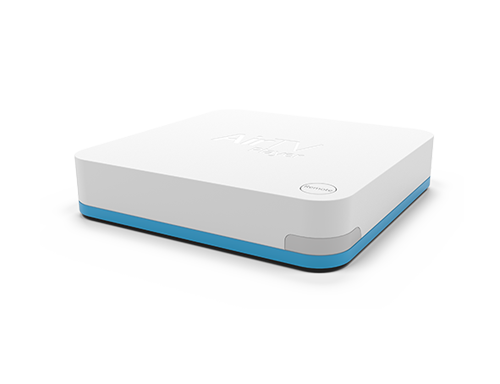 Record local channels with DVR *External hard drive required — sold separately. Promo Alert — Receive a $50 credit toward a Sling TV subscription with the purchase of an AirTV Player. Offer can be used with a new or an existing subscription. Expires 12/31/19. Only want the AirTV Player? Click to view. 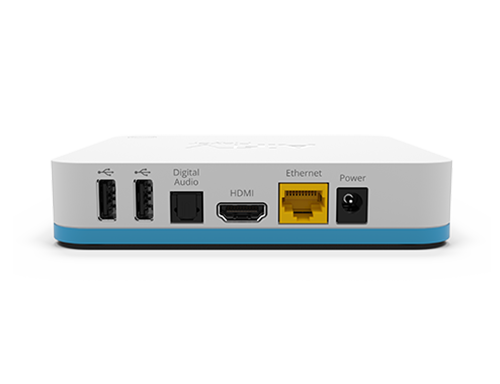 Want the AirTV Player Bundle? Click to view. Cut the cord. Keep the TV experience. You shouldn't have to be a techie to watch the TV you love. 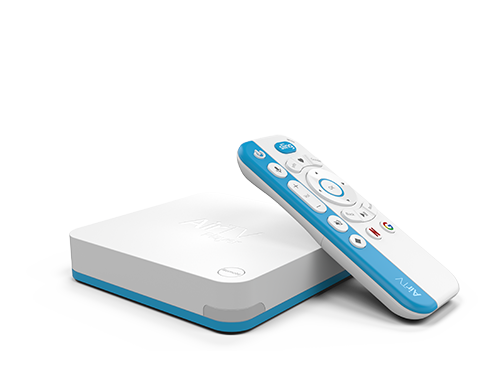 With an AirTV Player, you can easily browse and watch your entertainment on a single platform with one remote. Don't ditch the familiar experience of traditional TV—just bring it into the modern era of entertainment. One Platform, all your favorite shows and movies. AirTV Player integrates all your streaming services—like Sling TV, Netflix and local channels*—in one place. And because AirTV Player is supported by Android TV™, you also get instant access to a world of content and apps through Google Play. *Watching local channels requires AirTV Player, AirTV Adapter and an antenna (each sold separately). Local channel signals vary based on location. Netflix and Sling TV require separate subscriptions and an Internet connection. Never miss a show or event! Add an external hard drive to begin recording local channels. Single-tuner Adapter (optional) — Watch one local channel and record simultaneously. Dual-tuner Adapter (optional) — Watch one local channel and record another at the same time. Functionality — Pause, rewind or fast-forward recorded local channel content, and set single-episode or entire-series recordings right from the Sling TV guide. *Watching local channels requires an AirTV Player, AirTV Adapter and an antenna (sold separately). Local Channel DVR requires an external storage device to record (sold separately). Hard drives must be larger than 32 GBs and no larger than 1 TB for DVR. 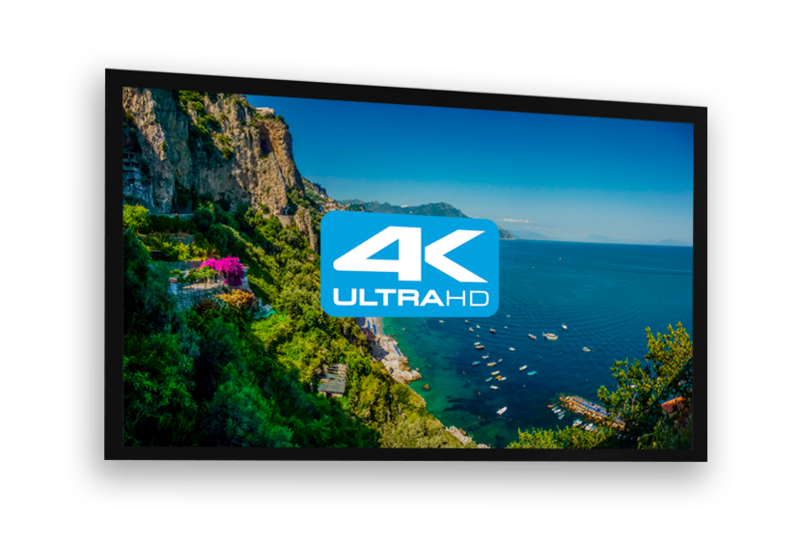 AirTV Player supports 1080p HD and 4K Ultra HD. Discover apps, games, music and more from Google Play. Say goodbye to juggling multiple remotes—the Bluetooth-connected AirTV Player remote will control your AirTV Player, local channels, your TV and your sound system. 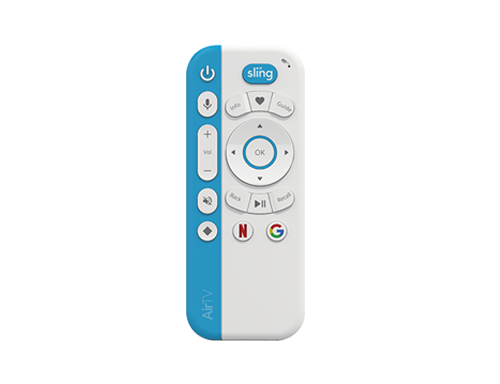 And with voice integration and one-touch access to Netflix and Google, the AirTV remote makes it easy to find the entertainment you're looking for. Compatible with most Bluetooth devices such as headphones, headsets and game controllers. Seamlessly integrate local channels right alongside your favorite Sling TV channels for all-in-one access. Connect to WiFi or Ethernet and stream your favorite content. Add AirTV Adapter and an antenna for local HD channels. Don't have the Adapter? We have you covered. Watch local HD sports, news and broadcast channels with no monthly fees.